Carpets Cleaned? So many of us think that we don’t need professional carpet cleaning, but most of us are, in fact, wrong. With so many great reasons to why a person should have their carpets cleaned professionally. Today for the people in the Colony Texas, we are just going to look at only 8 of these reasons. If any of these eight reasons apply to you in the Colony (and there is a very high probability that they do), then you might want to think about getting a professional carpet cleaning service for your home. You have children? Children are adorable, but can sure make some messes which include tracking in mud on your carpet, in some cases spill paint, spill food, drinks, and do a number of other things that can be devastating to the overall appearance of your carpets. Children have a ton of energy, so the worst is the foot traffic they produce. If you have children, you need a professional carpet cleaning service. You have pets? Pets, like children, are adorable and loving, but make a lot more messes. They too track in mud, but they often drool, and sometimes leave nasty little accidental “surprises” on your carpets. You have tough stains in your carpets? If you have those tough stains that you haven’t been able to get out of your carpets on your own, a professional carpet cleaning service can help you to get them out. They have specialized truck-mount equipment that can make what you see as virtually impossible to get out, very possible indeed. You are hosting a big event. If you are hosting a big event, first impressions are a big deal and chances are high that you want your entire house to look perfect to really impress your guest. Carpets is something everyone will notice, of course they are a must. Just make sure to get your carpets cleaned a day or two before the big event. You haven’t had your carpets cleaned professionally in a year or more. Carpet and Rug institute recommends that you get your carpets professionally cleaned at least once a year, with additional cleanings in between as necessary and an application of scotchgard at least once every 12 to 18 months. 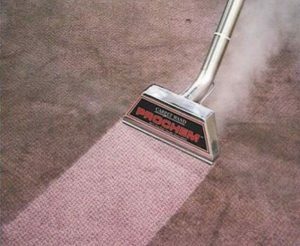 By cleaning your carpets at least once a year and applying scotchgard will not only prolong the life of your carpet, but will help them keep there luster and cut down on build up of dirt that would act as sand paper, which would really put wear and tear on your carpet. You want your carpets to look new again. This is a very obvious reason to have your carpets cleaned. You want your carpets to be easier to maintain on a day-to-day basis. Carpets that have been professionally cleaned will be easier to upkeep for some time after as well. Especially when a protective finish such as scotchgard is applied. Scotchgard repels most food and drink spills, slows down the re-soiling rate, makes vacuuming easier since dirt can’t stick to the carpet with many more pluses to add it, but last and not least every time it is applied it prolongs the life of the carpet up to 6 months. So now you have your 8 reasons to why you more than likely need to have your carpets cleaned professionally. If you’ve decided that you need your carpets professionally cleaned after all, or even if you just have some questions. Please contact us at Ultra Clean Floor Care. at 469-580-8123. We provide professional carpet cleaning in The Colony, Texas and can help you with anything you may need.